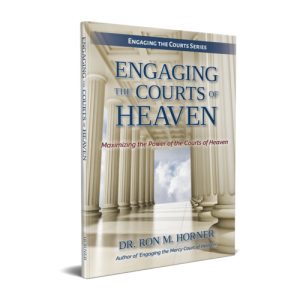 The Courts of Heaven paradigm is available to every believer. It will help thrust efforts of intercession into new levels of breakthrough. 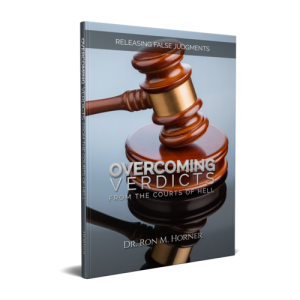 Once every legal obstacle hindering the answer to your prayers is removed, the answers will come. 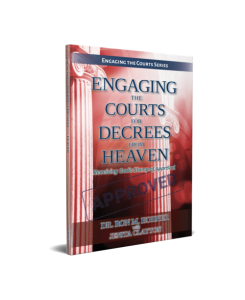 As we learn to engage the Courts of Heaven, lives will change – your life will change. You will experience answered prayer on a level you may have not thought possible. This edition has additional chapters, resources, and appendix information and is 100 pages longer than the original book. Available in Paperback, Spiral, Kindle, & PDF. JUST HOW MANY COURTS ARE THERE? 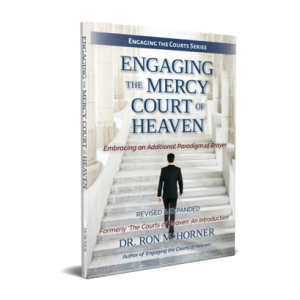 This book explores over a dozen of the Courts of Heaven with which I have had experience. Not for the novice, but for the seasoned veteran of the Courts of Heaven. It also covers how to establish an ecclesia in your region for permanent transformation. HAVE YOU EVER FELT OWNED? Many things can attempt to “own” us — emotions, medical diagnoses, family traits, and more! Let this book help you explore freedom in ways you have not even imagined. EVER NEED HELP IN THE COURTS? 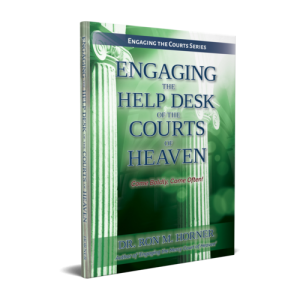 God has wondrously provided assistance in the Courts of Heaven. Don’t know where to go? Ask the Help Desk. Don’t know what to do? Ask the Help Desk. It is amazing what awaits us in the Courts of Heaven. Do you want to impact your city through prayer? Do you need a new paradigm by which to see massive change and see your city transformed? Leader’s Guide and Workbook available. PowerPoint Presentation included. Workbook also available. Leader’s Guide with PowerPoint Presentation also available. Have you found yourself struggling with situations or mindsets from which you could find no relief? 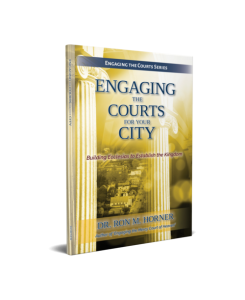 We have not yet awakened to the fact that we may have been facing a false judgment arising out of the Courts of Hell. ARE YOU FREE FROM FREEMASONRY? 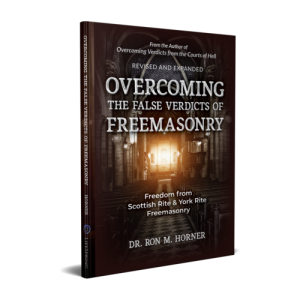 In all the materials I have seen on freedom from freemasonry, none has ever dealt with the false verdicts that empower the various levels of Freemasonry. This book does! Find freedom! Begin today! Accusations have great power to destroy your life and must be dealt with before they do. They create cases against you in the Courts of Heaven. The aim of an accusation is to divert your from your destiny. Accusations seek to define you and limit you and wear you down. 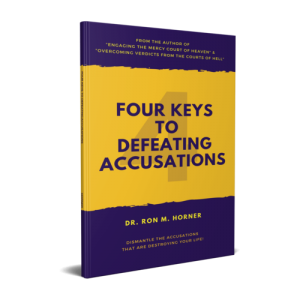 Dismantling accusations is key to effectively fulfilling your purpose and cannot simply be ignored. They must be destroyed! Learn how in this book! The Body of Christ has been facing an enemy that it has little knowledge or understanding of, much less how to overcoming this insidious foe – the principality of Baal, the sun god, and his counterpart Allah – the moon god. 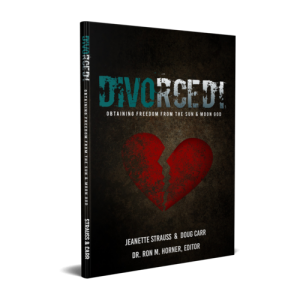 We must divorce these principalities from our lives in order to make the necessary progress in our daily lives. The strategy to gain the victory over these principalities is through Courts of Heaven intercession. We will obtain the legal right through repentance and forgiveness for sin committed against God to remove the lawful rights Baal and Allah has used to withhold from us and our families, churches, businesses, cities, towns, and regions. 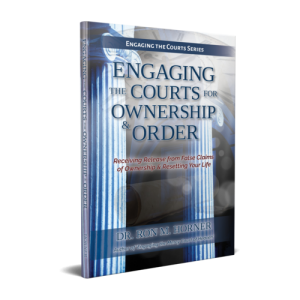 This series of petitions of divorce are geared for individual, family, church or ministry, businesses, or regions or territories. Utilize these petitions to gain the freedom purchased by the blood of Jesus Christ. En Lucas 18, Jesús introduce sutilmente un tercer paradigma de oración. El paradigma del juzgado ha pasado inadvertido a través de la historia de la iglesia. Esta verdad no fue descubierta hasta hace algunos años, con resultados asombrosos. Oraciones que han quedado sin respuesta por mucho tiempo han sido respondidas en cuestión de días o incluso horas. Situaciones sin esperanza aparente han dado un vuelco. Esta verdad es para todos los creyentes, pero también llevará a los esfuerzos de intercesión a nuevos niveles al acceder a la Corte Celestial de Misericordia.Una vez que sea removido todo obstáculo legal que impide la respuesta a tusoraciones, estas serán respondidas. A medida que aprendemos a proceder en las Cortes del Cielo, las vidas cambiarán – tu vida cambiará. Experimentarás el ver tus oraciones respondidas a un nivel como nunca creíste posible. Aferra estas verdades y empieza a interactuar con las Cortes del Cielo. La Corte entra en sesión… ¡todos de pie!